Differentiation – the process that transforms once identical cells into different, specialized cells. Right click on it, and open this image in a new tab. Then you can zoom in to see the detail. Life Science (Biology), Grades 6–8. Identify the general functions of the major systems of the human body (digestion, respiration, reproduction, circulation, excretion, protection from disease, and movement, control, and coordination) and describe ways that these systems interact with each other. PreK–12 STANDARD 4: Reproduction/Sexuality. Through the study of development students will 4.1 Identify the components, functions, and processes of the reproductive system. 4.11 Identify the stages of the male and female reproductive systems over the life cycle. 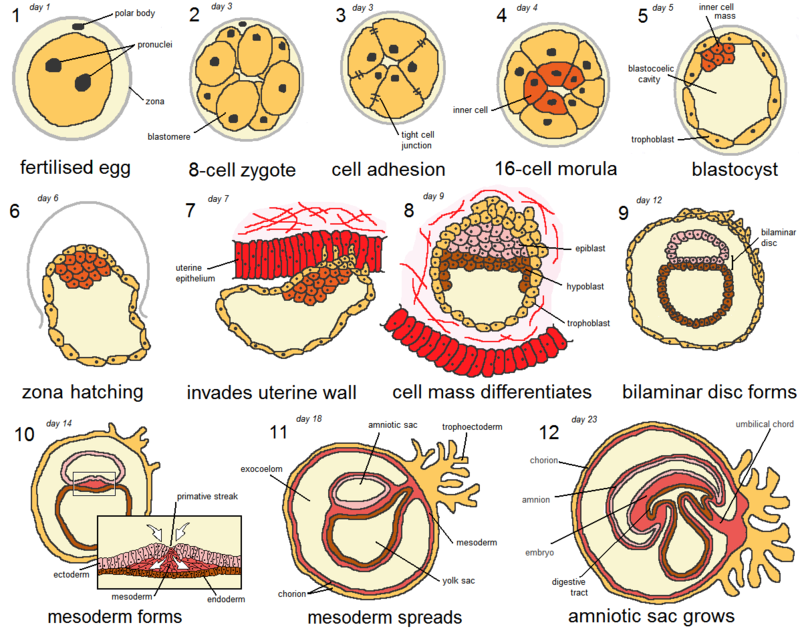 Students understand that in multicellular organisms, the single cell (zygote) ultimately divides and differentiates into specialized cells that form the various tissues and organs of the organism.